For over 15 years we’ve been providing just one service – PPC Management. We’ve built and trained the best group of over 35 dedicated professionals available anywhere. We understand just how important your PPC investment and results are to your bottom line. This is exactly why we focus exclusively on PPC and nothing else. JumpFly developed revolutionary, proprietary PPC management software, available exclusively for our clients. Through years of advancement, our powerful PPC alerting software tracks all client accounts around the clock every day. Great company, really made a huge difference and we sell a lot more product because of JumpFly! If you're stuck thinking that it might not be worth it or they won't give your account as much attention as you'd like, have comfort in knowing that they will absolutely improve your sales and treat your account like it's their own business! 5 STARS! Our company has been a client of JumpFly's since 2011. Our company has grown every year that we have been a client. They have an excellent staff and are great at managing Adwords, Bing, YouTube and Facebook campaigns. I would highly recommend them for all your pay per click ads. JumpFly has managed an extensive PPC campaign for my law firm for years with excellent results. The customer service team is knowledgeable and responsive. When we wanted to change the scope and direction of a PPC campaign we received strong technical support. I would highly recommend JumpFly. We switched to JumpFly almost a year ago and we have seen increased traffic to our website which has translated into an increase in sales. JumpFly offers great customer service! We have been pleased from the very beginning! JumpFly has helped my company's PLA increase by 200+% and continues to amaze my team with the speed of delivery. When working with Cary Goldstein I have never once had a complaint. Being in the Digital Marketing Scene for 7 years now its something important to say that I have not worked with a better company for PPC/PLA/Re-marketing. Keep up the Outstanding work JumpFly! For the second quarter of 2019, JumpFly Cares is excited to announce that they will be supporting the local School District 300 Food Pantry. The D300 Food Pantry is located in the Carpentersville Middle School, just five miles from JumpFly’s Elgin office. They serve the families and employees of Community Unit School District 300, the sixth largest school district in Illinois, covering 118 square miles that includes 10 villages/cities and four townships. JumpFly will be holding several fundraising activities for the D300 Food Pantry during the second quarter. These activities include: a food drive, soft/hard goods collection in conjunction with Savers, volunteering to work at the food pantry, and monetary donations. One of the exciting things about supporting the D300 Food Pantry is that every dollar donated equals $8 in groceries with the partnership with the Northern Illinois Food Bank. 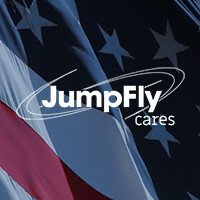 This gives JumpFly Cares a chance to make a solid impact on a local charity and allows them to positively impact hundreds of their neighbors. JumpFly professionally develops, implements and manages Google Ads, Bing Ads, Yahoo Gemini and Facebook pay-per- click advertising accounts, enabling clients to maximize Internet advertising results while saving time and money. Proper setup and management of these powerful programs will likely make the difference between an advertiser’s success or failure. JumpFly’s full-service solution enables clients to focus on their core business while achieving the best possible results from their search engine marketing campaigns. JumpFly is a Premier Google Partner, Facebook Certified Partner, and exclusive Bing Elite Agency. 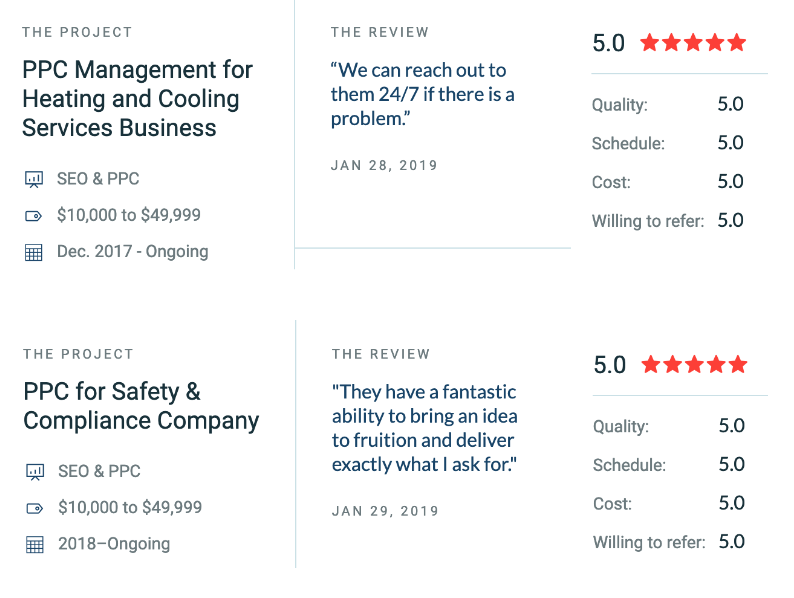 JumpFly assists more than 400 clients, offers a money-back- guarantee, ranks as the #1 PPC Management Company by TopSEOs and Clutch, and has an A+ rating from the BBB. 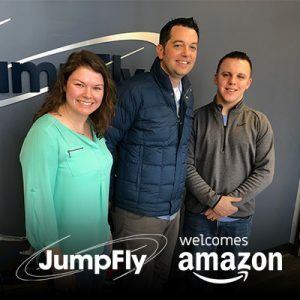 Recently JumpFly had the honor of welcoming Amazon to their Elgin, Illinois office. This visit was the first time Amazon had sent an agency representative to JumpFly to speak to their dedicated Amazon division. During this meeting, the JumpFly team received insight into the different kinds of seller and vendor products that Amazon offers and when each should be used for advertisers based on their specific goals. This information because Amazon offers many options for advertisers and JumpFly Amazon experts pride themselves at being the most knowledgeable Amazon advertising management service in the industry. Amazon visiting JumpFly was an integral part of continuing to build the JumpFly partnership with Amazon. This relationship with the Senior Partner Manager gives the JumpFly Amazon division the ability to have a direct contact at Amazon who has answers and resources to help JumpFly Amazon advertisers. JumpFly is thrilled to have an experienced Amazon liaison who is willing to make himself available to help JumpFly and their clients in whatever way he can. Advertising on Amazon can be overwhelming and daunting for sellers and vendors. With JumpFly’s Amazon division, advertisers receive boutique agency care, and big agency clout. Last week, JumpFly had the privilege of hosting a team of Google Engineers in their Elgin, IL office. The Google team’s visit was to do a deep dive into the Recommendations tab in the Google Ads interface, and solicit feedback from heavy users. The three Google Product Managers (PM) included the managing PM, the lead Recommendations PM and the Recommendations UX design PM. The lead Recommendations PM started off the day giving the JumpFly team insight into the different types of recommendations that exist, how they are scored by Google, and the reasoning behind the recommendations. He then continued into the roadmap of what to expect from the Recommendations tab in the short- and longer-term time frames. The Google team also hosted a question and answer session, and took feedback on the types of recommendations. After the main meeting, JumpFly Account Specialists met with the Google PMs to give more in-depth feedback on the Google products they use daily. This meeting was invaluable to JumpFly Account Specialists and they are excited to see their suggestions put into action in the Google Ads UI as well as the new Google Ads Editor that will be coming soon. The Google PMs also met with individual JumpFly Account Managers and Directors, to gain more insight into the recommendations and their use. All this feedback was compiled by the Google team and was taken back to the Googlers who update and maintain the Recommendations tab. Having Google Engineers visit the JumpFly office is one of the benefits JumpFly receives as a Google Premier Partner. 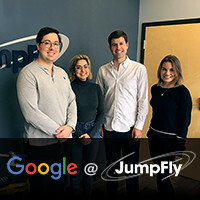 JumpFly is regularly visited by their Google Agency team, but having the ability to connect deeper with the product teams is a huge benefit to JumpFly clients. Clutch is a B2B ratings and reviews platform that evaluates companies based on their ability to deliver service, their overall brand strength, and client satisfaction rates. 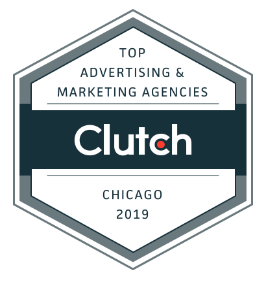 Every month, Clutch’s team selects the top performing agencies given their expertise, ability to deliver, and location. In their 2019 report on the top Chicago B2B firms, JumpFly is listed as the number one agency among the top PPC management services firms. Clutch does excellent work gathering and documenting in-depth customer reviews to ensure comprehensive and honest information, and we’d like to thank our clients for their central role in helping us achieve this selective award. Overall, we’re excited to have been recognized globally in 2018 by Clutch, and now, in our very own city of Chicago. We pride ourselves on our ability to deliver results to neighbors and international clients alike. Watch our commercial to quickly learn more about who we are and what we do.